Digital Inclusion & Education – India context? 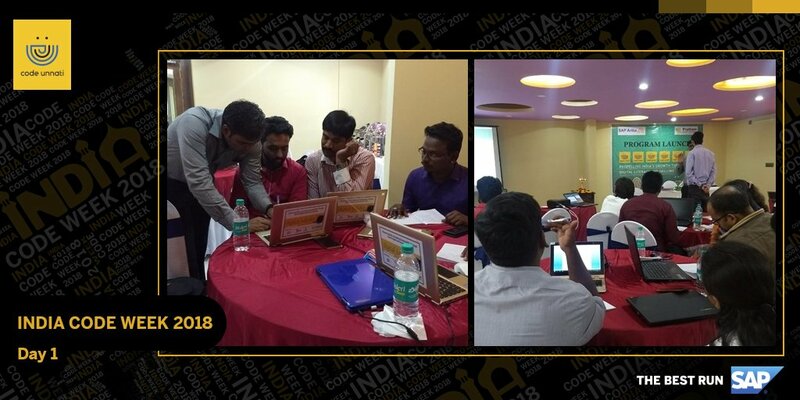 SAP India CSR launched Code Unnati in June 2017 as Corporate to Citizen Initiatives to impart digital literacy among adolescents, citizens, & children and employable IT skills among youth. 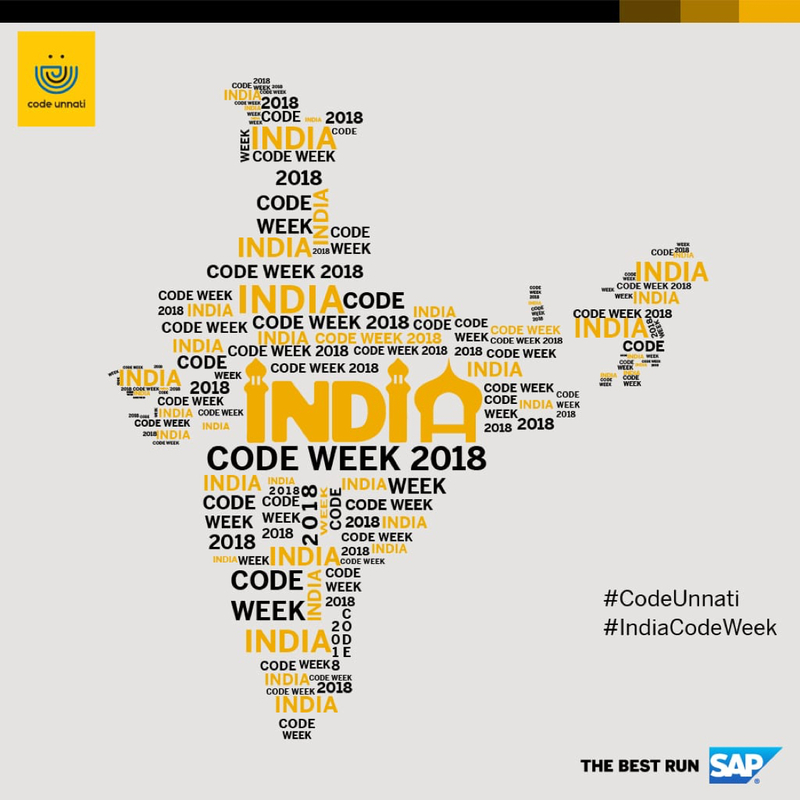 To supplement the efforts under Code Unnati, India Code Week has been designed to impart digital education in an accelerated manner in geographies and for socio-economically disadvantaged communities, where we haven’t expanded out reach. 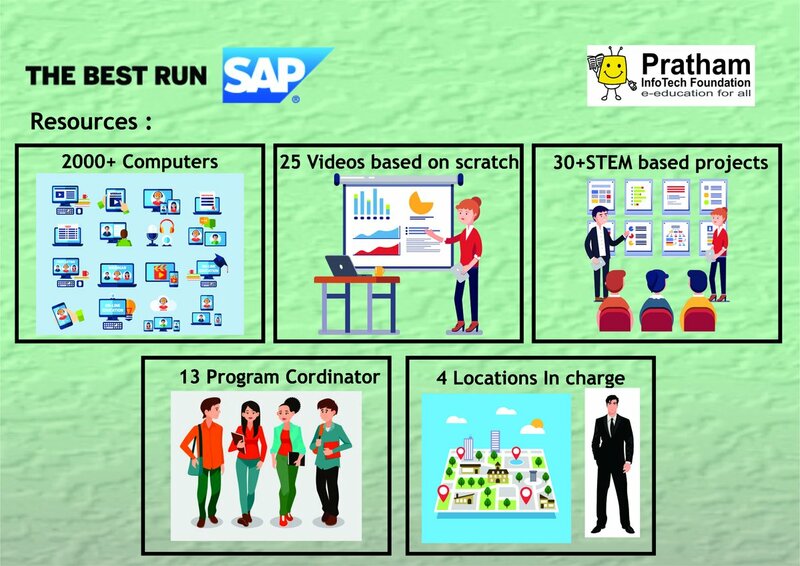 SAP strategy is to deliver the intelligent enterprise, through intelligent technologies viz., Machine Learning & Artificial Intelligence, Internet of Things & Disrupted Computing, and Blockchain. Picture this: A country of 1.32 bn people, the 6th biggest economy in the world, fastest growth rate in GDP amongst major economy, where 90% of citizens (approx. 1.18 bn) are digitally illiterate, around 94% of households are digitally illiterate & digitally excluded, and only 6% of the house-holds have computers at home. This further implies that Indian industries lack skilled manpower who are learned in next-gen technologies. 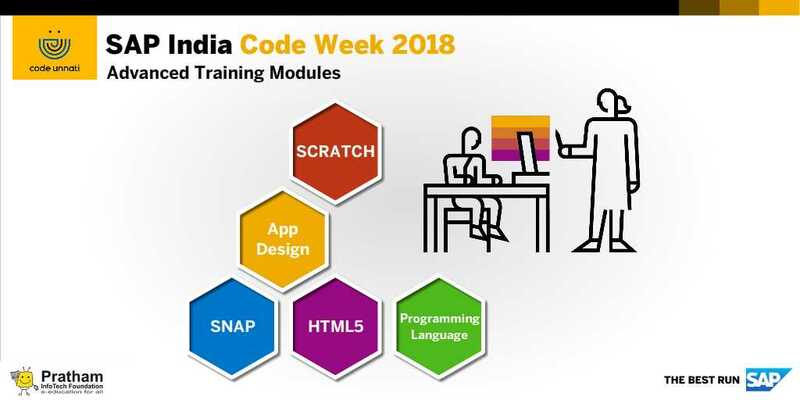 Code Week is a way forward to fulfil SAP’s strategic imperative (on delivering Intelligent Enterprise) in India, with very specific focus on training human resources on next-gen technology competencies, and also help our customers with the availability of such skilled man power, and thus, helping them & SAP realize the vision of intelligence enterprise. Post code week training, students will be geared to be trained for the advanced next-gen technologies / programming languages, etc. SAP acknowledges how poor the statistics of digital inclusion in India is, with only 10% of the population is digitally literate. As per the report of Center for Monitoring Indian Economy (CMIE), nearly 31 million Indians are job less, as of March 2018, and the rate of unemployment was 6.1% in Feb 2018. Critical factor for joblessness is the lack of employable skills. The economic condition is further accentuated with the requirement of adoption of newer skills for Industry 4.0. “India’s major challenge will be to ﬁnd jobs for its working-age population which is forecast to increase from about 740 million to 1.3 billion by 2050.”, said Lord Adair Turner, Chairman of U.K.-based Institute for New Economic Thinking. Code Week delivers significantly on Economic Development at enormous scale, to address the challenges & concerns highlighted above. 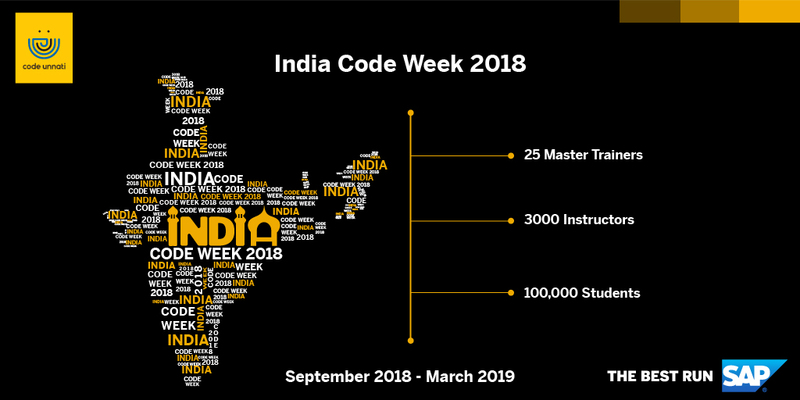 India Code Week 2018 began in September 2018. It is a 6 month long initiative: the first part is training of master trainers, where in 25 trainers were trained. We culminated the first phase on 23 September. 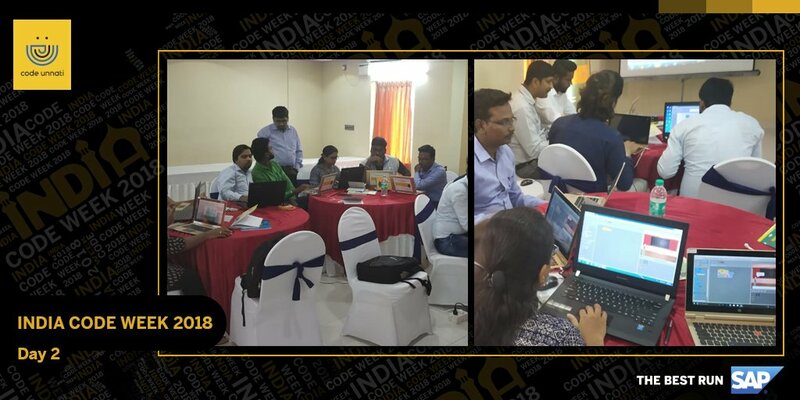 The Code Week will follows unique pedagogy and curriculum to bridge the digital learning gaps among the teachers and students.